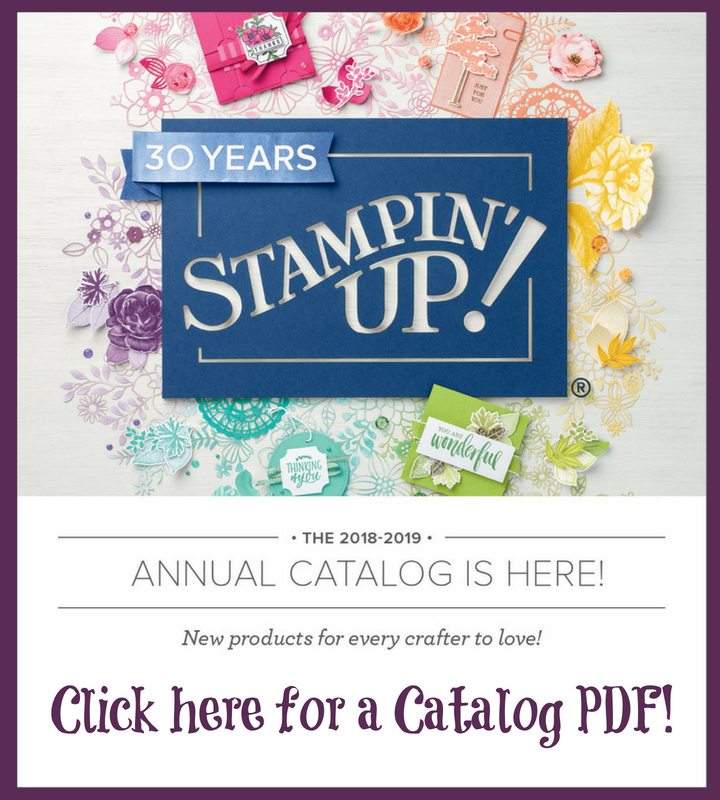 I love the flowers that Stampin' Up! 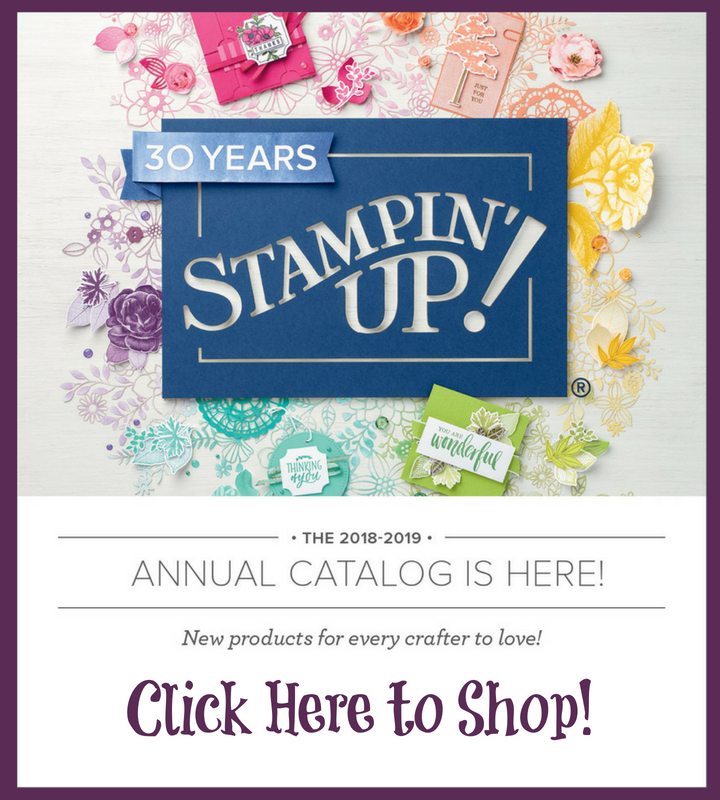 chose for their Best of Flowers Collection to celebrate 25 years of Stampin' Up! 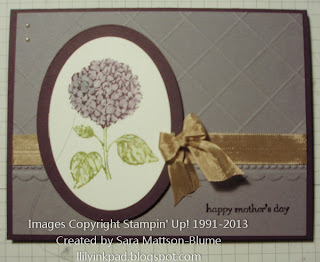 I never earned this hydrangea when it was released as a Hostess stamp as a much larger image. I think I prefer it small. 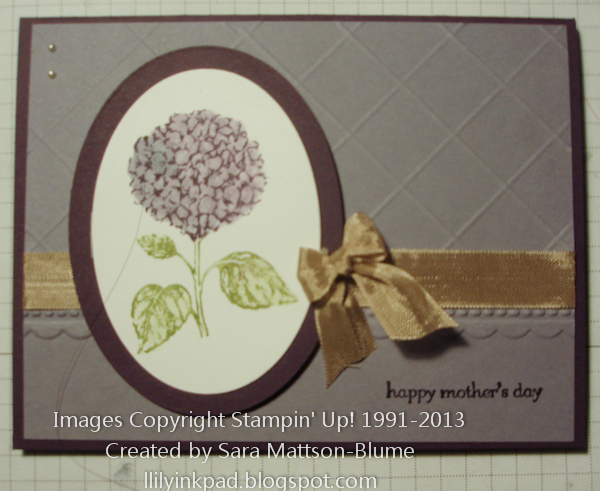 To stamp the Hydrangea, I used markers directly on the stamp, and then used a blender pen to add more color the image. To make the lattice, I first sent the background through the Big Shot, so the Needlepoint Border was even across the bottom. I placed my background upside down on the diagonal plate and scored at every inch. Next, I rotated my paper and scored again at 1" increments. 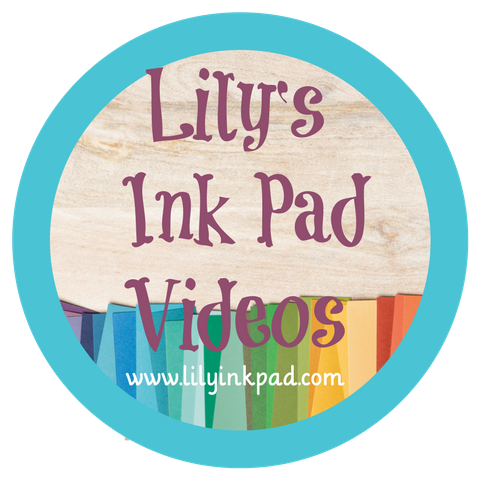 Easy and a neat effect!